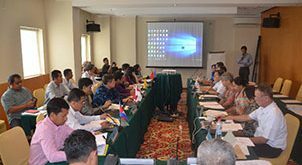 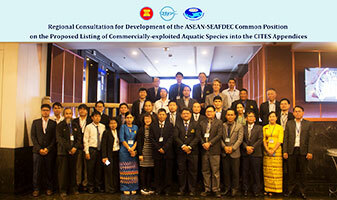 SEAFDEC organized the Regional Consultation for Development of the ASEAN-SEAFDEC Common Position on the Proposed Listing of Commercially-exploited Aquatic Species into the CITES Appendices on 30-31 January 2019 in Bangkok, Thailand. 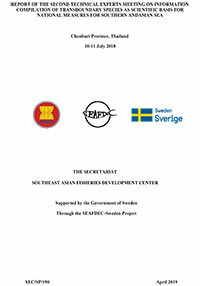 Attended by representatives from the ASEAN-SEAFDEC Member Countries namely: Cambodia, Indonesia, Japan, Lao PDR, Malaysia, Myanmar, Philippines, Thailand, and Viet Nam, as well as senior officers from SEAFDEC Secretariat, Aquaculture Department (AQD), Inland Fishery Resources Development and Management Department (IFRDMD), Marine Fishery Resources Development and Management Department (MFRDMD), and Training Department (TD), the Regional Consultation was aimed at discussing among the Member Countries, the possible impacts of the newly proposed inclusion of commercially-exploited aquatic species (CEAS) into the CITES Appendices; and developing common/coordinated position of the Member Countries on such CEAS o be raised at the CITES CoP18 including a set of recommendations on the issues related to the conservation and sustainable utilization of those CEAS. 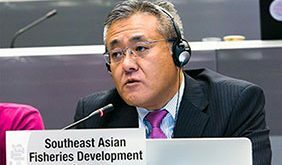 The representative from Malaysia, Mr. Lawrence Kissol Jr., was unanimously elected as Chairperson of Regional Consultation which came up with the Member Countries’ position on the proposed listing of several CEAS into the CITES Appendix II. 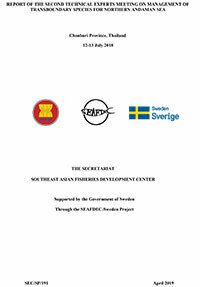 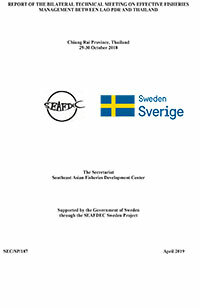 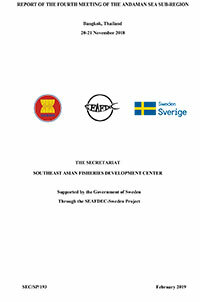 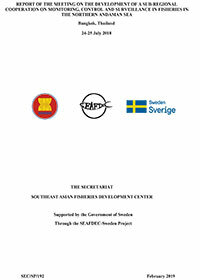 The countries’ position would be submitted to the SEAFDEC Council and subsequently to the ASEAN for consideration ad referendum and for putting forward under the arrangement of the Focal Points for the Fisheries Consultative Group of the ASEAN-SEAFDEC Strategic Partnership also ad referendum.